The variations in design, cut, and cloth, such as two- and three- piece, or single- and double- breasted, determine the social and work suitability of the garment. Often, suits are worn, as is traditional, with a collared shirt and necktie. Until around the 1960s, as with all men's clothes, a hat would have been also worn when the wearer was outdoors. 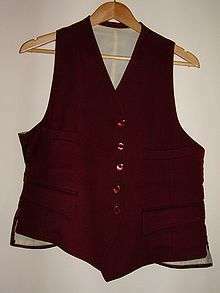 Suits also come with different numbers of pieces: a two-piece suit has a jacket and the trousers; a three piece adds a waistcoat (known as a vest in North America); further pieces might include a flat cap made from the same cloth. suit separates where jacket and trousers are sold separately, allowing a customer to choose the size that is best for them and limit the amount of alterations needed. 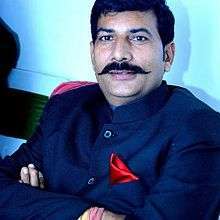 Suits are made in a variety of fabrics, but most commonly from wool. The two main yarns produce worsteds (where the fibres are combed before spinning to produce a smooth, hard wearing cloth) and woollens (where they are not, thus remaining comparatively fluffy in texture). These can be woven in a number of ways producing flannel, tweed, gabardine, and fresco among others. These fabrics all have different weights and feel, and some fabrics have an S (or Super S) number describing the fineness of the fibres measured by average fibre diameter, e.g., Super 120; however, the finer the fabric, the more delicate and thus less likely to be long-wearing it will be. Although wool has traditionally been associated with warm, bulky clothing meant for warding off cold weather, advances in making finer and finer fibre have made wool suits acceptable for warmer weather, as fabrics have accordingly become lighter and more supple. Wool fabric is denominated by the weight of a one-square yard piece; thus, the heavier wools, suitable for winter only, are 12-14 oz. ; the medium, "three season" (i.e., excluding summer) are 10-11 oz. ; and summer wools are 7-8 oz. (In the days before central heating, heavier wools such as 16 oz. were used in suits; now they are used mainly in overcoats and topcoats.) Other materials are used sometimes, either alone or blended with wool, such as cashmere. Silk alone or blended with wool is sometimes used. Synthetic materials, while cheaper, e.g., polyester, are very rarely recommended by experts. At most, a blend of predominantly wool may be acceptable to obtain the main benefit of synthetics, namely resistance to wrinkling, particularly in garments used for travel; however, any synthetic, blended or otherwise, will always be warmer and clammier than wool alone. For hot weather, linen is also used, and in (Southern) North America cotton seersucker is worn. The jacket's lapels can be notched (also called "stepped"), peaked ("pointed"), shawl, or "trick" (Mandarin and other unconventional styles). Each lapel style carries different connotations, and is worn with different cuts of suit. Notched lapels are only found on single-breasted jackets and are the most informal style. Double-breasted jackets usually have peaked lapels. Shawl lapels are a style derived from the Victorian informal evening wear, and as such are not normally seen on suit jackets except for dinner suits. For black tie events, only jackets with pointed and shawl lapels should be worn. Turn-ups on the bottom of trousers, or cuffs, were initially popularised in the 1890s by Edward VII, and were popular with suits throughout the 1920s and 1930s. After falling out of style in World War II, they were not generally popular again, despite serving the useful purpose of adding weight to straighten the hang of the trousers. They have always been an informal option, being inappropriate on all formalwear. Suit trousers, also known as dress pants in the US, are a style of trousers intended as formal or semi-formal wear. They are often made of either wool or polyester (although many other synthetic and natural textiles are used) and may be designed to be worn with a matching suit jacket. Suit trousers have a crease on them because of their tight-fitting nature. Suit trousers can be worn at many formal and semi-formal occasions combined with a shirt that has no tie and a more relaxed fashion, which can be considered smart casual dress. Accessories for suits include neckties, shoes, wrist- and pocket watches, pocket squares, cuff links, tie tacks, tie bars, bow ties and hats. In the tropical Philippines, a former colony of the United States of America, a suit is often called a kano, short for Amerikano ("American" in various Philippine languages). Because of the hot tropical climate, this formal wear is worn only when necessary, including formal, social or business events. Filipinos rarely wear a suit, and the youth would probably wear one only to a high school or college prom, in which case it might be rented. At any occasion where a suit is worn, it would also be acceptable to wear a long-sleeved or a short-sleeved barong tagalog, the national dress of the Philippines. Former US Secretary of State Condoleezza Rice and Turkish President Abdullah Gül wearing Western-style business suits. In modern society, men's suits have become less common as an outfit of daily wear. During the 1990s, driven in part by the meteoric rise of newly successful technology companies with different cultural attitudes, the prevailing management philosophy of the time moved in favour of more casual attire for employees; the aim was to encourage a sense of openness and egalitarianism. "Business casual" dress still tends to be the norm for most workers up to and sometimes including mid-level management. Traditional business dress as an everyday style is generally limited to middle- and upper-level corporate management (now sometimes collectively referred to as "suits"), and to the professions (particularly law). Casual dress has also become common in Western academic institutions. Double-breasted suit coats are almost always kept buttoned. 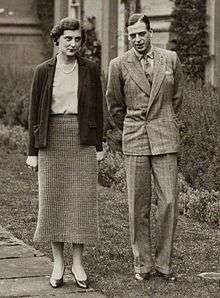 When there is more than one button to fasten (as in a traditional six-on-two arrangement), only the top one need be fastened; in some configurations, the wearer may elect to fasten only the bottom button, in order to present a longer line (a style popularised by Prince George, Duke of Kent). When fastening a three-button suit, the middle button is fastened, and the top one sometimes, but the bottom is traditionally not designed to be (although in the past some jackets were cut so that it could be fastened without distorting the drape; this is not the case with current clothing). A four-button suit is untraditional and so has no traditional guidelines on buttoning, but the middle ones at least should be fastened. Additionally, the one button suit has regained some popularity (it is also one of the classic styles of Savile Row tailoring). The button should always be fastened while standing. With a single-breasted suit, it is proper to have the buttons unfastened while sitting down to avoid an ugly drape. 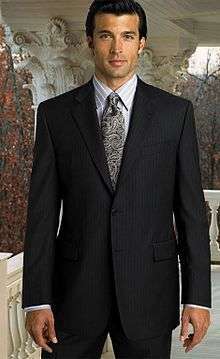 A good double-breasted suit is usually able to be left buttoned, to avoid the difficulty of constantly redoing inner buttons when standing up. Knot: Some of the most common knots are the Four-in-hand, the Half-Windsor, the Windsor (often called a Full-Windsor or Double-Windsor to distinguish it from the half-Windsor) and the Shelby or Pratt. A Four-in-hand, Half-Windsor, or Windsor is generally the most appropriate with a suit, particularly by contemporary guidelines. Once properly knotted and arranged, the bottom of the tie can extend anywhere from the wearer's navel level, to slightly below the waistband. The thin end should not extend below the wide end, though this can occasionally be seen to be acceptable with thin ties. For women, the skirt suit or dress suit are both acceptable; a blouse, which can be white or coloured, takes the place of a shirt. Women's suits can also be worn with coloured tops or T-shirts. Women generally do not wear neckties with their suits. Fancy silk scarves that resemble a floppy ascot tie became popular in North America in the 1970s. By the 1980s, women were entering the white-collar workforce in increasing numbers and their dress fashions adopted looks not dissimilar from men's business wear. By the early to mid-1980s, conservatively-tailored skirt suits were the norm, in the same colours and fabrics considered standard in men's suits. These were typically worn with buttoned-up collared blouses, usually white or some pastel in colour. These were frequently accessorised with a version of the bow tie, usually the same fabrics, colours, and patterns as men's neckties and bow ties, but tied in a fuller bow at the collar. ↑ Oxford English Dictionary Online (2008). suit, n. 19b. ↑ Mahon, Thomas (2005-09-23). "How to draft a pattern". English Cut. Retrieved 2008-09-20. ↑ Mahon, Thomas (2005-02-08). "Fused vs. floating". English Cut. Retrieved 2008-09-20. ↑ Merrion, Desmond (2008-11-08). "Recent made to measure tailoring". Retrieved 2008-11-19. ↑ Mahon, Thomas (2005-01-06). "How to pick a "bespoke" tailor". English Cut. Retrieved 2008-09-20. ↑ Druesdow (1990). p. vi. "...for often the difference in style from season to season was in the distance between buttons..."
↑ Mahon, Thomas (2005-03-29). "Single-breasted, peaked lapel". English Cut. Retrieved 2008-09-20. ↑ Boehlke, Will (2007-01-07). "What's in your lapel?". A Suitable Wardrobe. Retrieved 2008-09-24. ↑ Mahon, Thomas (2007-01-18). "Real cuff holes...". English Cut. Retrieved 2008-10-26. ↑ Rosenbloom, Stephanie (February 13, 2009). "For Fine Recession Wear, $7,000 Suits From Saks (Off the Rack)". New York Times. Retrieved 2009-02-14. ↑ "Dress pants fabric information". Overstock.com. Retrieved 2010-03-12. ↑ Wilson, Eric (2008-11-13). "The Return of the Interview Suit". The New York Times. pp. E1, E10. Retrieved 2008-11-22. ↑ Canisius College MBA Program (2008-04-24). "Confused about Buying an Interview Suit...This is all you will ever need to know!". Retrieved 2008-11-22. ↑ Concise Oxford English Dictionary 10th ed. Oxford University Press. 2002. p. 1433 "informal a high-ranking business executive".